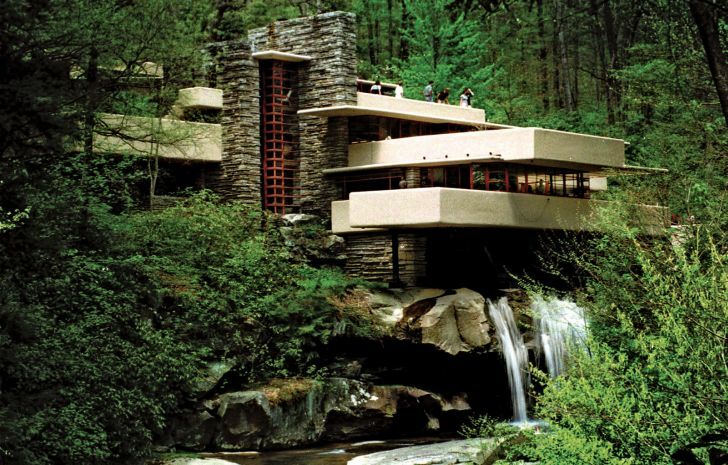 Every design has its principles, so as Frank Lloyd Wright organic architecture. In many forums, organic architecture has been great topic to discuss. Many of those spoke about how to understand it, how to make something based on principles of organic architecture, and why many buildings were built based on the principles of organic architecture. Well, it looks like everything about organic architecture has been discussed on multiple occasions. However, it would not take long for people to start new discussion about organic architecture because this is something that stays relevant with today’s architecture. 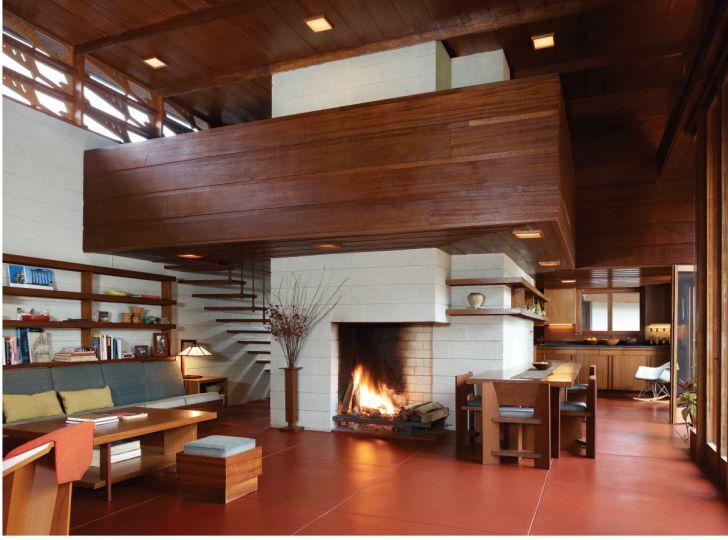 To Frank Lloyd Wright, organic architecture is more to philosophy of constructing a home than the style of a home. This means that the design could appear differently, but holds the principles of organic architecture. The idea of organic architecture was coming from his mentor, Louis Sullivan, who said that form follows function. Wright then changed a bit about the mentor’s teaching into “form and function are one”. He believed that form and function could go very well in one package. This is what makes his works looked so beautiful and functional at the same time. In Frank Lloyd Wright organic architecture, there are three important teachings we need to learn. They are Nature of the site, Needs of the clients, Nature of materials. Nature of the site could mean respecting the local and considering of using local materials for the building. Needs of the clients means we have to make a design according to what the client wants. It is our clients’ building we are going to build, so we need to put their need into our consideration. However, that is not all. We need also try to combine our clients’ need with something that can make their life better. Nature of materials is the extension from the nature of the site. 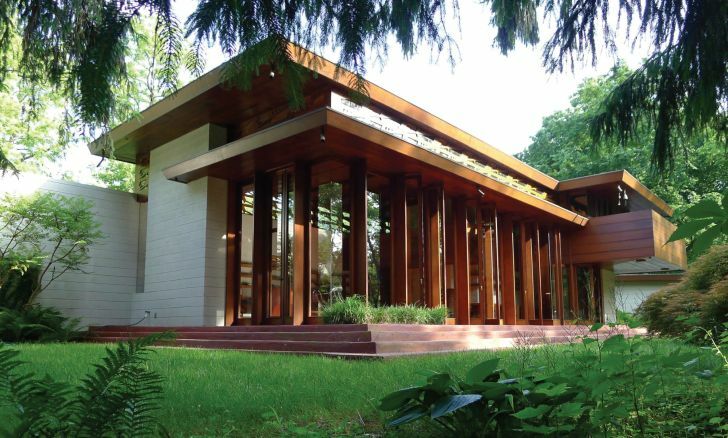 Frank Lloyd Wright in his philosophy believed that the nature of materials used could lift up the quality of the design that consequently elevates the clients’ life. Organic architecture is a thoughtful philosophy. It combines many aspects that affect the building. Respecting the site, complying the clients’ need, and letting the real beauty of the material out are principles in organic architecture. Frank Lloyd Wright got all those ideas from long journey in education. Starting to receive education as a child from his mother, Frank Lloyd Wright kept receiving education until the age of sixteen. He dropped out from school because at that time he needed to support his family. Wright attended engineering classes for couple of semesters at the University of Wisconsin – Madison while working as assistance of construction projects in there. His education journey continued with working as draftsman at Chicago architecture firm Joseph Lyman Silsbee where he met his mentor, Louis Sullivan. Frank Lloyd Wright organic architecture is a philosophy and the art of constructing a building. It comes from years of education, training, and is a gift for today’s generation. Organic architecture shows us a way to respect the nature in constructing a building.